Tube by Barachan. Get it at DSI. Don't Be A Pirate kit from Tasha's Playground. Position over the bottom right of the map. Position over the top right side of the map. Position over the left side of the map. Position to the right of the ship. Position to the left of the tube & Chest. Duplicate Palm Tree and mirror. Move the trunk of the palm under the sand layer. Hang from the coconuts on the right palm tree. Position near the bottom of the right palm tree. Select inside each letter using your magic wand. 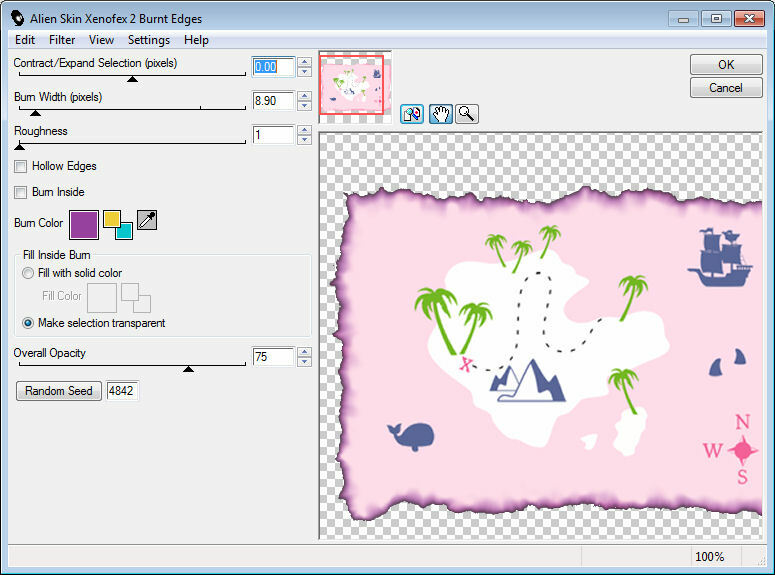 Add a new raster layer under the word art. Flood Fill selection with #7f98ff. 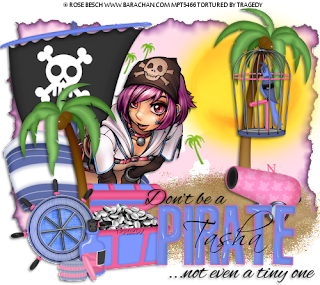 Type out your font over the word pirate. Position over the left side of the chest. Using your lasso tool select the inside of the wheel. 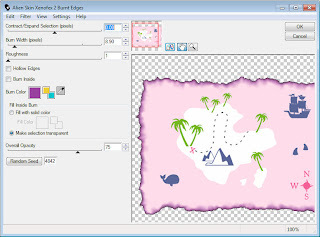 Add a new raster layer under the wheel. Position to the right of the wheel. Position over the left side of the rum.